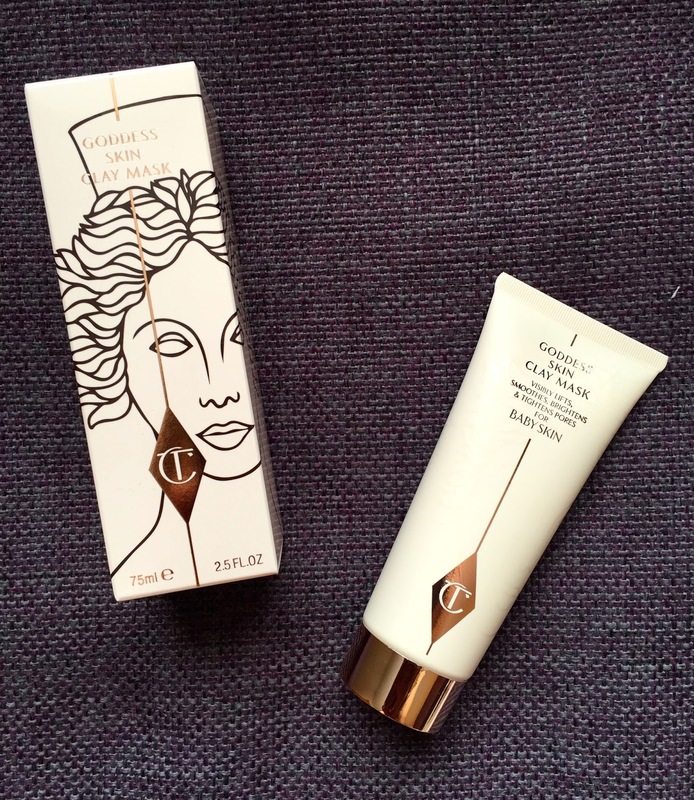 I recently caved in and bought the Goddess Clay skin Mask from Charlotte Tilbury. I thought I needed a good pamper as I have been so busy recently. Lush bath bomb, bubbles at the ready I applied the mask and left it for the recommended 10 minutes. Now what I really like about this clay mask is it doesn't dry. I find a lot of masks dry my skin out and are difficult and messy to remove. This however came off with a warm muslin cloth, very like a thick cleanser. • Spanish clay absorbs oil and draws out impurities without drying. • Sweet Almond and Rosehip Oil nourish and delay signs of skin ageing. • BioNymph Peptide Complex boosts collagen production and improves elasticity. • Essential oils create a smooth, hydrating formula that never feels chalky or dry. • Frangipani Flower Extract boasts soothing antiseptic properties and leaves skin cashmere-soft. Now I have to say I am in love! I agree with all the claims about it being nourishing, smoothing, hydrating and leaving your skin cashmere soft. This mask, despite it's smell which isn't my favourite (almondy, plant smelling hmmm!) left my skin feeling wonderful. It was so soft, hydrating and it made my skin glow! When I woke up my the next day my skin felt fresh and dewy. I haven't had any breakouts from it either which is probably to do with the antiseptic qualities. Now it is pricey at £45 for 75ml but I reckon it would last around 10-12 applications if you are careful. Definitely one to try if you are feeling spendy!